The fault, dear Brutus, is not in our stars. But in ourselves.” When dealing with dictators and tyrants, that may often be the case but recently the fault in part seems to be our “stars.” In Russia, French actor Gerard Depardieu accepted Russian citizenship directly from the hands of Vladimir Putin after leaving France over its high taxes. Depardieu not only embraced the man who has destroyed the democratic movement in Russia but actually criticized Putin’s opposition which has risked jail and beatings to fight for free speech and other basic rights. 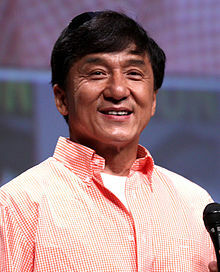 In the meantime, actor Jackie Chan has again held forth in defense of China’s authoritarian government — telling Chinese that they need to stop criticizing the government in front of foreigners and that the U.S. is more corrupt than China. “I like this man very much, he is a very powerful political activist. He has political wisdom.” Of course, his political wisdom was to crush opponents in the streets, fake personal accomplishments, and send critics to jail. The actor spent his first day as a Russia criticizing those who are demanding more rights: “The Russian opposition has no program, nothing. There are very smart people there, like (former world chess champion Garry) Kasparov, but what works well for chess is completely unsuited to politics.” It appears that Depardieu’s urinating openly on airplanes was not some fluke but his approach to both politics and personal hygiene. 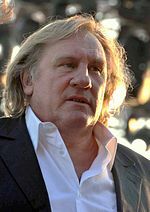 While many had rallied to Depardieu’s defense when he left France after the imposition of the 75% tax on the wealthy, he has now shown that he is entirely craven and corrupted in his values. Depardieu and Chan go beyond the usual nonsense from some celebrities who are out of touch with reality or contemptful of the struggles of average people. What is most disturbing is that these governments have cracked down the most on artists like themselves. These two stars are enjoying special status at the hands of two of the most repressive governments in the industrial world. They take these benefits gladly and turn on those who have sacrificed everything to fight for human rights. It is more than maddening. It is grotesque. Anything for a little fame and glory once the original fame and glory has long since faded. My French teacher says that Depardieu translated into Alsation means “departed water” or urine. When Depardieu first announced he was leaving I thought good, when he announced citizenship in Russia I thought good riddance. I do believe he lost a lot of respect with that move. Certainly he has lost mine. Chan has unfortunately been a shill for the Chinese government for a long time. As to his comment that the US. Is more corrupt, we are corrupt but I am pretty sure that China has us beat. China is a communist country where party members make billions and send their kids to live here and put their money in our banks in case they have to run. Both of these men lost my respect. Gerard has a hefty grocery bill. It is amazing what Depardieu will do for money! Chan and Depardieu are on the downhill slide, they are fading stars so I dont see any reason for stroking out. Also, russia is still corrupt and lawless. In related news, both Depardieu and Chan’s agents were admitted to the hospital after suffereing massive strokes. Here’s an interesting irony. Russia, which was for generations a communist society, has a wider disparity of wealth than the US. And, they have a flat 14% income tax. Not that every person can afford to leave its homeland….. What strikes me as humorous is did the banksters, police and government try and shut down the occupy Wall Street movement?